Sixteen microsatellite loci on chromosomes 7 and 8 of Han-Taiwanese and six Taiwan aboriginal populations were systematically analyzed by a high-resolution multiple-fluorescence-based polymerase chain reaction technique. Analysis of allele frequency distribution indicated the genetic divergence among these populations. Several alleles were unique to specific tribes. Only the D8S556 locus deviated from Hardy-Weinberg equilibrium in all tribes. Its FIS level, as calculated with the Nei method, was also higher and more homozygous than expected. Therefore, with the exception of D8S556, these variable number of tandem repeats (VNTR) loci are suitable genetic markers for forensic and paternal testing. The FST level, as the proportion of the total variation among these tribes, ranged from 1.4% at the D7S484 locus to 6.8% at the D7S550 locus. The average FST was 3.9%, suggesting that there were substantial variations among these populations. 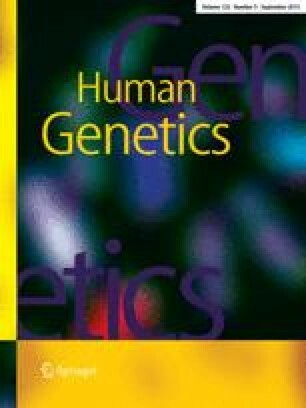 The genetic identity analysis and the genetic distance analysis reached the same conclusions, viz., that the Ami and the Paiwan tribes were genetically close to each other, that the Atayal tribe was relatively unique compared with other tribes, and that the Saisiat tribe was relatively close to the Han-Taiwanese. A dendrogram for these tribes was further constructed by the UPGMA method. These VNTR data not only facilitate forensic and paternity testing, but also provide anthropometric information for further elucidating the relationship of Taiwan populations to the Austronesian family.